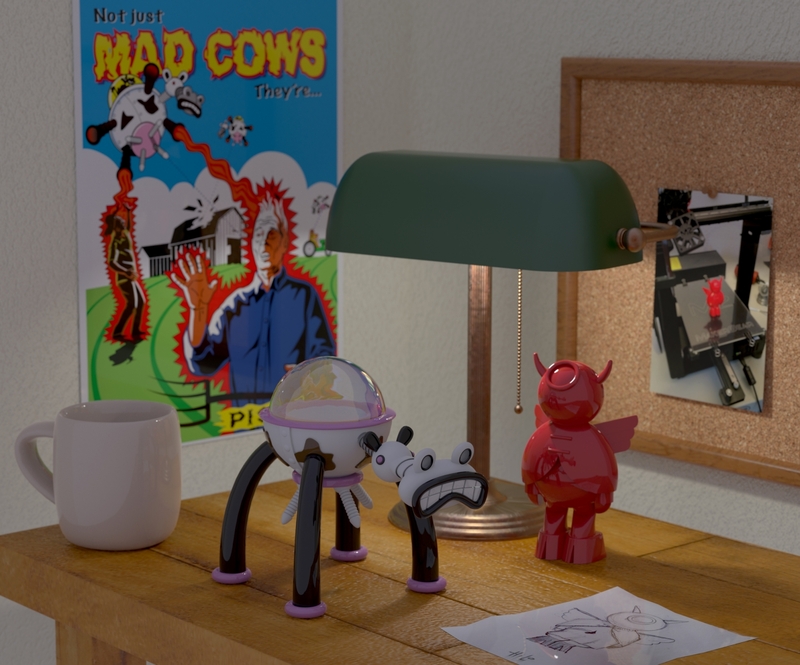 Work area setting with a couple of 3D characters I've created. The red character, Zanjel, was conceived by Howard Haas. Modeled in formZ, rendered in Maxwell Render, the Zanjel was printed on a 3D printer.